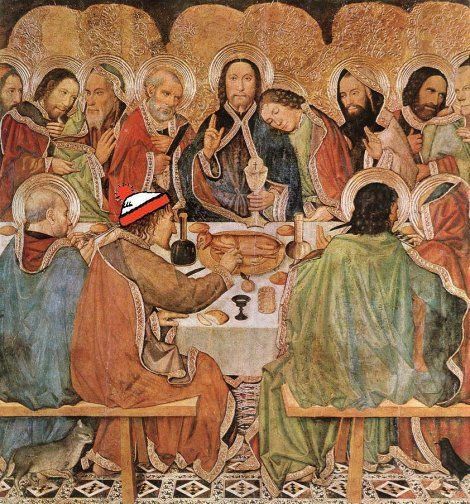 Franciscan Focus: The Last Supper: Where's Judas? Josephy card overload! And a new journal. Lent Trek 2011: Tuna martinis in the desert! In Fr. Jay Toborowsky's post, Spy Wednesday, he mentions artistic depictions of Judas at the Last Supper, and that reminded me of something I've done for as long as I can remember when looking at Last Supper images. Before I can take in the piece as a whole, I Must Find Judas. I can't enjoy it until I do. It's like I'm compelled to play a version of Where's Waldo? 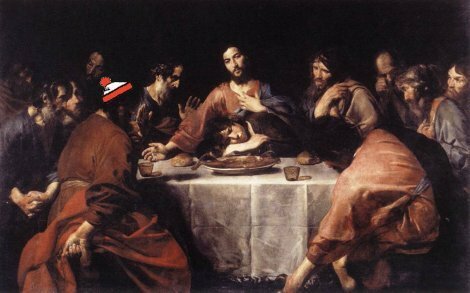 every time I see the Last Supper. 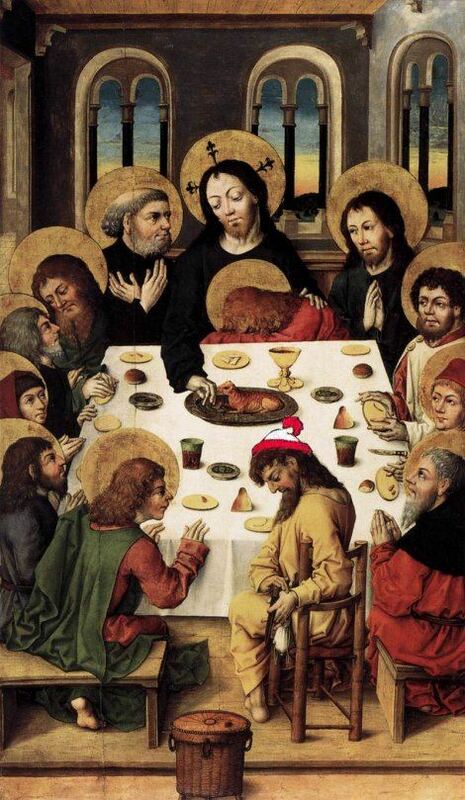 I quickly scan through all the apostles, holding my breath until I find him. Or sporting a just-sucked-on-lemons countenance? Or sitting apart from the others? Then ... a-HA! There he is! OK, now I can take it easy and look at the rest of the piece. So, um ... anyone else do this, or is it just me? Weird, yes, but I do it too.